Ab benches don’t always have to be fancy to be effective. With a good diet and a workout-focused mindset, you can use even the simplest fitness devices to get the definition you seek. This article will focus on the FEIERDUN Sit Up Ab Bench. We’ll explain what makes it great and what makes it not so great, what its limitations are and who is it best suited for. We’ll also offer some tips on how to get the most out of it and talk about an interesting alternative to consider if you’re still on the fence about the FEIERDUN. 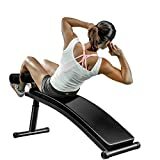 The FEIERDUN Sit Up Ab Bench is an adjustable incline/decline bench. 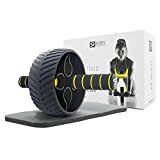 You can use it to work on your back or your belly depending on which muscle groups you want to train. It’s easy to assemble and has surprisingly long-lasting quality for the money. Your first thought is probably that sit up ab benches are just for folks trying to lose weight, right? Wrong. An ab bench can be just as useful to an already lean user. It allows you to put less strain on your spine while you do some high-intensity crunches. If you have trouble with maintaining your posture, the FEIERDUN ab bench might also interest you. Thanks to the foot rest, you have a better chance of maintaining a good posture which means less back pain and less chance of tilting with the bench. 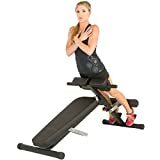 It may look simple and nothing like your traditional gym bench, but make no mistake, the FEIERDUN sit up ab bench is quite sturdy. It weighs 18 pounds and is very stable. It can support up to 220 pounds too. It comes with four adjustable height levels from 17.2” to 24.8”. 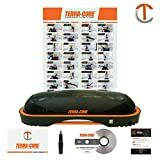 This allows you to change the complexity of your crunches and extensions without having to add weight plates to the bench. All the rests are padded with sponge to prevent slipping and soreness. The cover is waterproof and surprisingly breathable for this price range. Needless to say, having a low-maintenance bench is important if you are the busy type. Because it’s easy to assemble, it’s also easy to fold and store. When folded, it’s no taller than 8.5”. The assembly out of the box should take you no more than 10 minutes. Although it’s quite a sturdy piece of fitness equipment, you might want to take it slow. 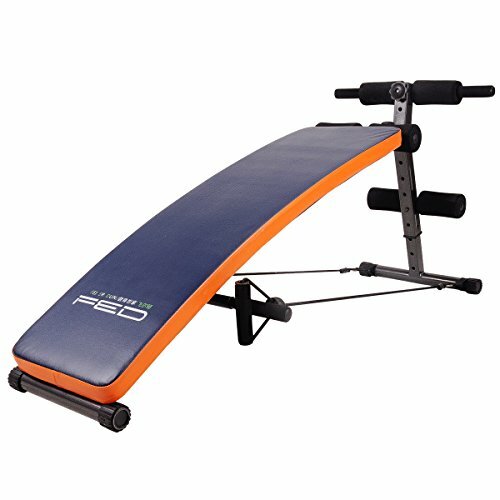 The bench is stable but it won’t support high-speed exercises unless you’re sure you’re not tilting. If you want a harder workout, just adjust the angle of the bench. Remember, doing exercises correctly with fewer reps is better than doing them poorly with more reps.
Of course, just because this is a simple decline ab bench doesn’t mean you can’t work your obliques too. As long as you don’t raise your body at an angle, once you reach the top position you can do abdominal twists without the bench falling over. You can also use it to do back extensions and work your lower back. These exercises also help stretch your abdominal muscles. If you have some dumbbells, you could use them to get in some chest workouts or arm workouts. Do keep in mind though that there’s a 220 lbs limit on the bench. Don’t use anything too heavy if you want to avoid accidents. If you want something longer and a bit cheaper, you might prefer the Apex JD-1.2 slant board. Equipped with padded roller pads and foot rests, it’s just as comfortable as the FEIERDUN model. However, the Apex JD-1.2 has a slightly higher weight capacity of 250 pounds. It’s also 53” in length (flat) compared to the 52” (curved) of the FEIERDUN Sit Up Ab Bench. The FEIERDUN Sit Up Ab Bench is a great example of how good things can come in small packages. The bench is simple yet highly efficient at correcting your posture during ab and lower back workouts. 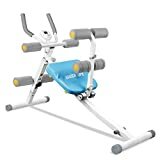 It has a good weight capacity and plenty of stability to allow you some exercise variation. The curved board design also takes some of the load off your back when doing crunches without compromising the strengthening of your core. 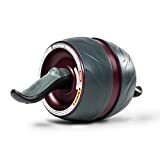 Whether you’re a beginner or an advanced user, the adjustability of the board will allow you to get a decent workout at home.